All aspects of Islam are here, from rituals to political movements, from art and history, to language and science. The first edition of the Encyclopaedia won worldwide acclaim. As a western scholar of the Islamic faith, Cyril GlassÃ© manages to straddle both cultures with an understanding of, and respect for both the current Islamic world and its complex past. This unique single-volume work consists of 1,300 entries, containing a wide rage of new entries. It covers the contemporary Islamic scene, and includes a substantial entry on the Taliban, plus information on other movements which bear upon the crisis that has lately descended upon the world. 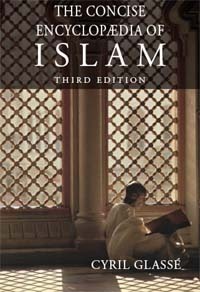 This new edition also contains an extensively revised chronology which spans the entire history of Islam, from its origins through developments in the Muslim world today. Cyril Glassé - Author of The Concise Encyclopaedia of Islam. Born in 1944, he is a graduate of Columbia University and a practicing Muslim. His published work includes a translation of Margaret Von Berchen's study of Islamic Jerusalem, a Guide to Saudi Arabia, and The Pilgrim's Guide to Mecca, written for the Hajj Research Centre, King Abdul Aziz University, Jeddah. He has lectured on comparative religion around the world.